Cameron is an actor, writer and filmmaker in Los Angeles, Calif.
Cameron studies acting with Andrew Magarian at The Shop-Simply Acting. 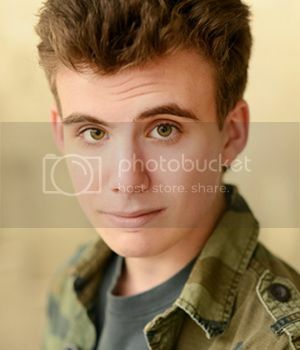 View Cameron's profile at Actors Access, LA Casting or IMDB. History Alive Through Music, a one-hour celebration of America's history using music to tell the story, will air at 6:57 p.m. Sunday, July 4 in San Diego on ITV, channel 16. 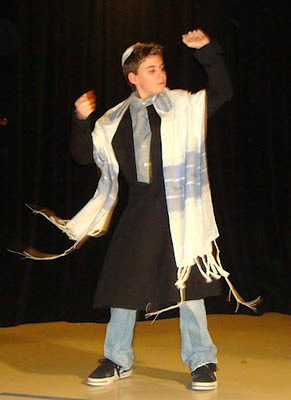 Cameron Elmore is among the young actors starring in the program. History Alive Through Music uses songs from American history to teach about the past. It is intended for students in grades 6 through 8, but the program is enjoyable and informative no matter what your age. History Alive Through Music is a production of concert pianist Jacquelyne Silver at Silver Pathways to Music Inc.
To the left is a picture of Cameron during one of the rehearsals for the program.